Every now and then I decide to work on these blocks again. 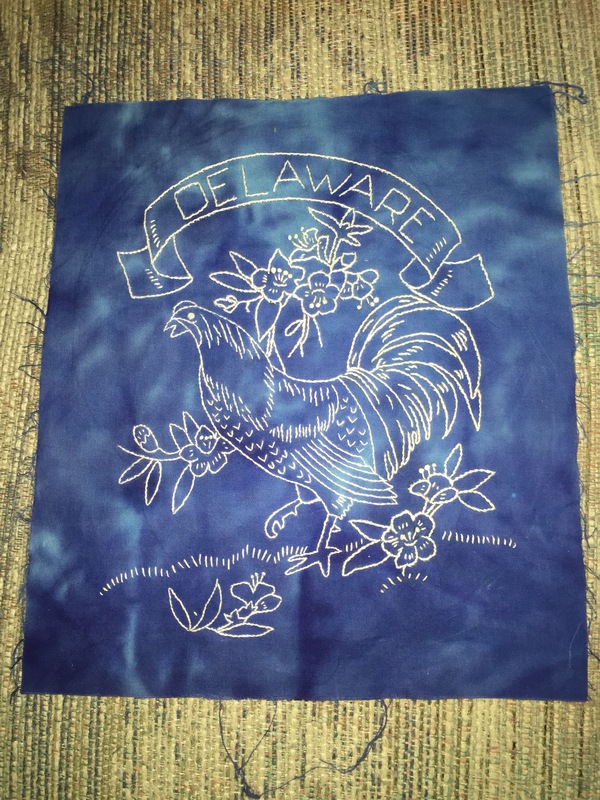 I finished Delaware this week after working on it for……hmmm…..I don’t know how many months!! 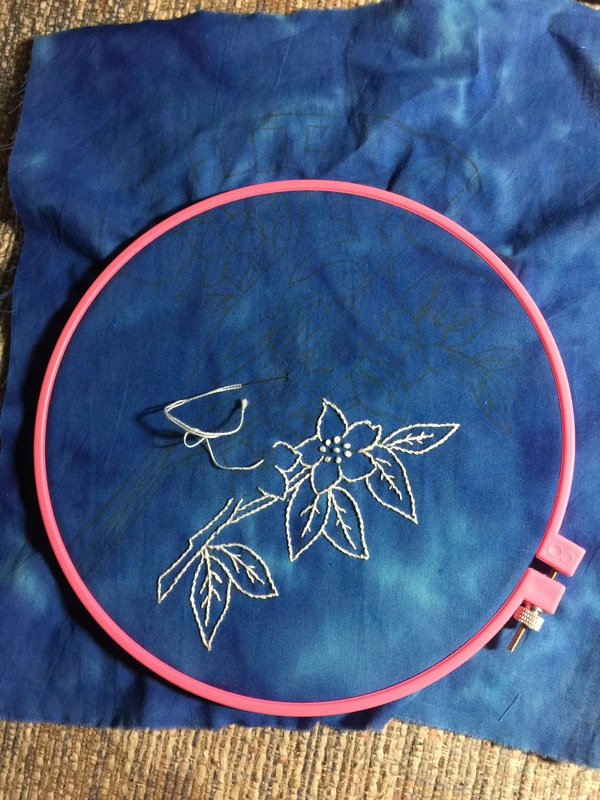 I started out using 2 strands of embroidery floss, which was a pain, pulling off 2 strands each time I ran out. 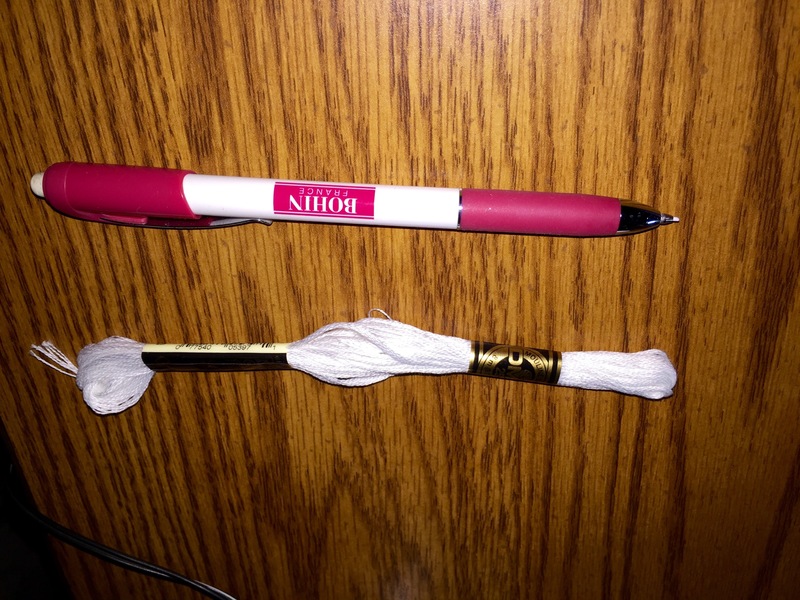 I was also marking it with a white chalk pen, which would wear off as I worked, so I had to keep remarking the design. I wasn’t making much progress on these blocks. I’ve been working on them for years! Anyway, I bought this somewhere and decided that maybe if it looked like the 2 strands of emb. floss, I could switch over and use it instead. I sampled it, and decided it was close enough, so I used it to finish the Delaware block. 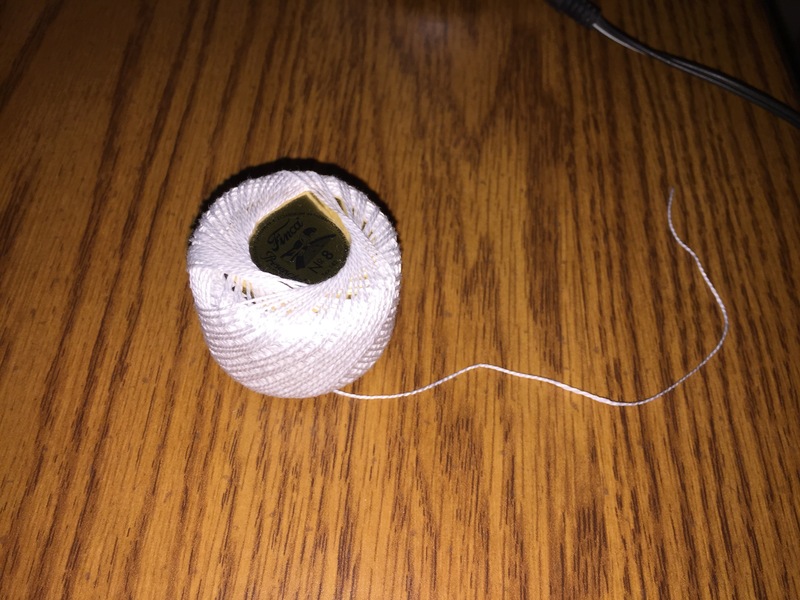 I was able to finish the last of the block a lot quicker than when I was using the emb floss. I also started marking the blocks with a friction pen. That way I don’t have to keep remarking. Last night I marked the Florida block and got this much done.